I didn’t know what had hit me… forget going to prison for this was far, far tougher than any prison… We starved on a diet so severe that even a fishes tail of live cockroach was a luxury, and in the winter months when I was there, we had to sleep all but naked in old WW2, ice cold Nissen huts, on beds with dirty blankets, no mattresses and only hard wire mesh for comfort… To make things worse we were pumped fall of injections to vaccinate us against nasty diseases we might catch on our journeys around the world. all of which took its toll and in my case, I even went blind! But at the end of that merciless training, I, and all the others of thousands of young boys that passed through the camp, left its gates so much more mature, stronger and capable boys, boys that from thereafter would be able to face the world and deal with almost anything it could throw at them, boys who had learnt that anything in life was possible and that whatever task given to them, they would, one way or another, get the job done. 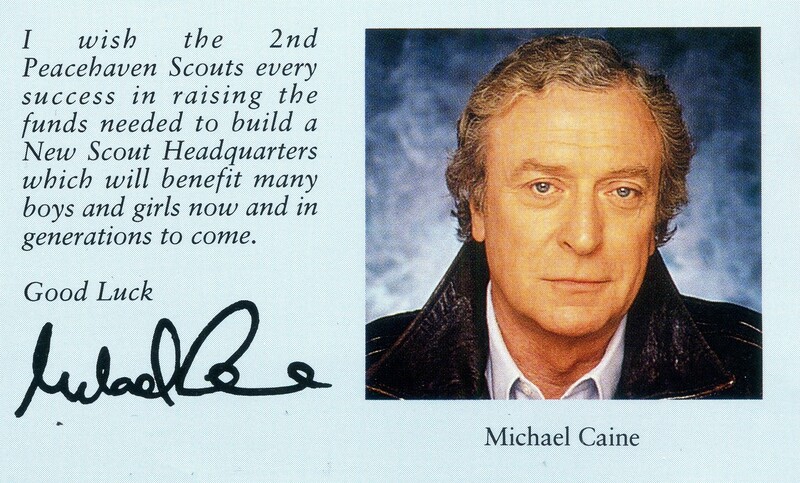 I doubt that any kid today would be able to cope with what we had to deal with back then, but there weren’t any snowflakes back then; we just hand to buckle down and get on with it until that wonderful day came when the gates to the camp opened and we were set free, well almost. Having past our final inspection, were marched out the gates and down the lane to the little railway station at Sharpness, where a steamy, hissy train waited to greet our pride, and to take us on the start of a journey that would open a book to a new chapters in our lives, a book that offered us the way to a whole new life, a life full of excitement, adventure, romance and opportunity, a life that would take us young kids to the far corners of the world to see countries and places most people back in those days (1950s) could only but dream about… It would be an experience that would give us the best years of our lives and days we would never forget. 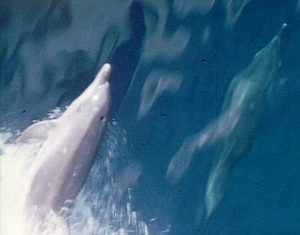 I am writing the 2nd volume in my life story, “Jumping For Balloons” (part 2) which will tell this amazing story in great detail, delving into all its many attributes from those endless dreamy days of sailing through warm, blue, tropical seas, and seeing the true wonders of the world… my first palm tree, flying fish, shark, dolphin, or to play and swim on the shores of a tropical island. Mind you, we worked hard aboard ship, and we also had to learn to deal with being thrown into the middle of ferocious storms, which when just 16, really were scary, but perhaps the girls, girls, girls, all helped to make battling through any storm worthwhile! 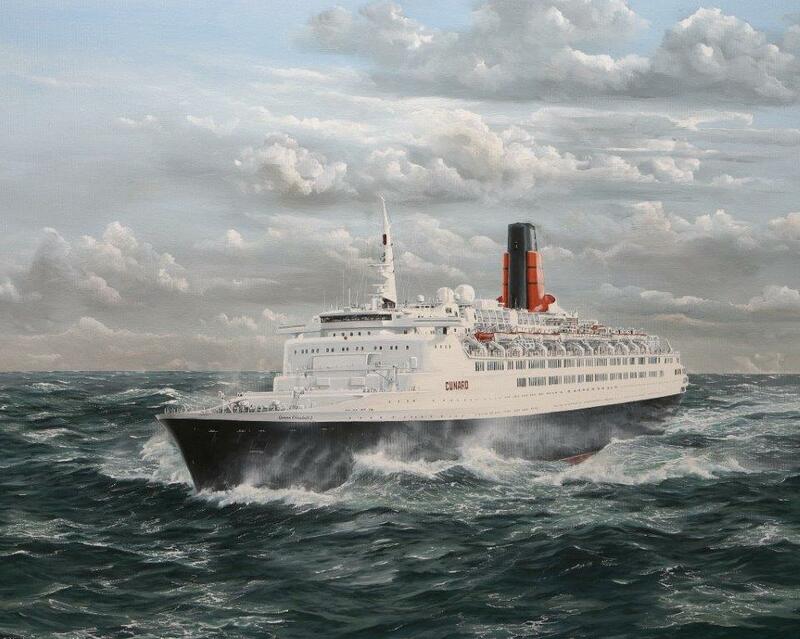 It was a way of life that sadly, young boys and girls of today will never be able to experience, and you know, 99% of the ex-seafarers and ship workers I talk to all agree that those years were the best of our lives. 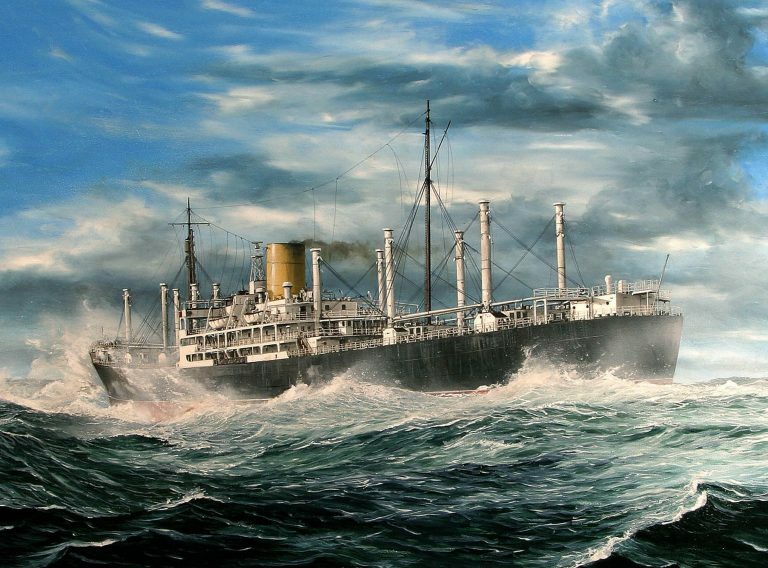 My very first ship, the New Zealand Shipping Companies MV Hinakura seen here in a painting By Robert G. Lloyd, showing her as she heads into the worst Hurricanes I ever encountered. 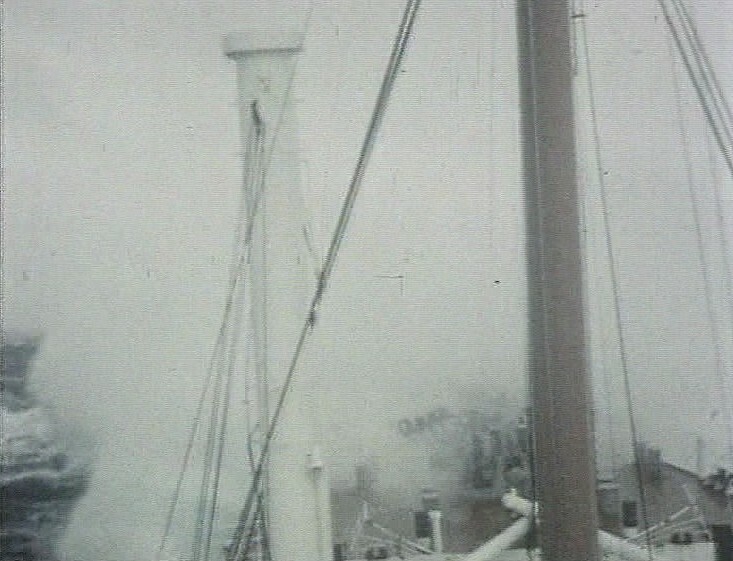 On my first voyage we ran into two mighty storms, and to make it worse, they struck us just a few days after sailing from Liverpool in mid-December, 1954. I was cabin boy and wow! I never knew waves could be so ginormous, waves that were relentless as they tossed us about as if we were just a cork from a bottle… I had two buckets, one full of soapy water to scrub the decks with and the other to be sick in, and these two storms, one straight after the other, tore us apart for so many days has we battled our way across the Atlantic to the Caribbean and Panama. His eyes suddenly widened, emphasising his fear. “The whole ship seemed to scream as the giant monster lifted and then its angry, foaming crest broke and came crashing down all over us.” He closed his eyes for a few moments as he recalled the full horror of that moment, then with a scary frown he opened them again and continued to scare the living daylights out of me. “The roar of destruction was without pity as the full force of the sea flung itself over us, forcing our bow down and down before finally the sheer volume and weight of the water forced it to disappear beneath the surface. Aye, I thought we were a ‘gonna… I felt sure our bow would surrender as it lost its fight to rise again.” He paused once again, sighing heavily as he took a deep breath and then nodded as if to himself. “But she didn’t surrender… No, she fought back and against all the odds she slowly and bravely creaked and groaned and slowly, slowly lifted herself out of its angry grasp,.” He stood up straight again and smiled. “Aye, somehow we won and lived to fight another day.” Sensing my fear, he bent over and patted me on my shoulder, before calmly swaying off down the alleyway to continue inspect the ship’s damage. 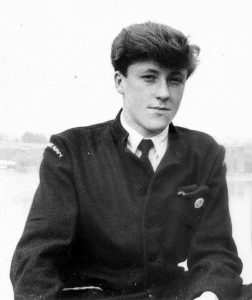 If I hadn’t had gone to that sea training school, had I not had such a hard time there, I would never have been able to have coped with such a terrifying experience, especially as a poor 16 year old country Bumpkin, … As I say, my book will tell it all in great detail, but importantly it will also tell of all the amazing adventures and fun we had at sea in those days… The thrill of transiting the mighty Panama Canal, followed by seemingly endless days of warm sunshine and blue, blue seas as we crossed the vast Pacific ocean to New Zealand… To tell of how there were always Dolphins and Porpoises swimming immediately in front of the ships bow, where they would stay for days before being replaced by another… Today, were you on a modern day cruise, you’d be lucky to see any dolphins and porpoises at all! Yes, the book will tell of all the wonderful experiences I so enjoyed, like sleeping out on the ship’s cargo hatches at night, lying there with just a pair of underpants on, looking up at night skies that were ablaze with stars, stars that swayed gently to and fro as the ship gently moved through the stillness of the night. Within a very short time I had matured beyond my years as the life at sea made me both worldly and a stronger, better person, and the things I learnt then have stayed with me all my life, and helped in me doing what I’m doing now, which together with wife Ulla (She’s a Swede, but other than that, she’s alright!) has involved us dedicating 23 years of our lives to search the world for rare film, film that hopefully someone somewhere had taken, film of scenes and maritime incident s that one day would somehow enable us to bring back in great graphic detail, all those wonder memories of those wonderful and happy years. Well, there were such people and thankfully we managed to find them and their film, all of which we have restored back to perfect condition, thereby not only bringing all those wonderful memories back, but in a way that makes us feel as if we’re back there for real, so no matter whether you’re an ex-seafarer, ship worker, ship enthusiasts or you just love the nostalgia of those days, you will all enjoy the special Award Winning video programmes we have made of those days, days when we had the biggest and best Merchant Navy and Shipping Industry in the world. The video programmes we have worked so hard to make show all this, and interestingly, we now get letters and emails from all over the world and pleasingly enough, also from young children who, having discovered these video programmes, have taken the trouble to write to us (Ulla and Des) to say how much they enjoy watching them and how they wish they could have been alive back then so they could have also enjoyed the same type of lifestyles as we were so fortunate to have had. I’m afraid I never started this Newsletter with the intention of writing in this way, it just sort of happened, probably because I’m sickened by so much about the world today and especially the mindless, infantile behaviour of so many of our so called leaders! Oh, I know what I should just mention, which is something that one of our customers told me the other day… He’d called to say how much he enjoyed every one of the 44 DVDs we have currently produced, and wanted to know when the next ones would be ready. We chatted away, as we do… (You wouldn’t get this sort of service if you called Harrods or even Halfords!) and then he told me this little story, which says so much about how the times have changed, and not for the good either! His dad used to be a London Docker, and when he was a young boy he often asked his dad as he was leaving the house for work, if he could go with him. “Come on then.” He would say, and off they’d go to London’s mighty Royal Docks, which then were the largest inland docks in the world. But not only did this little nine year old go to work with his dad in the endlessly busy docks, when they got there his dad just took him on board whatever ship he was working on at the time, and amazingly, actually take him all the way down into the ship’s holds, where he would just sit and watch as together with the other men, they would handle imports and exports cargoes as they swung too and fro on their way in and out of the holds… Imagine that happening today! Why, you wouldn’t even get past the dock gates let along down a ship’s hold! Yes, we had such freedom them, a freedom that this world of today has snatched from us, screwed up and thrown into a bin… The disgrace of the way Brexit has been handled is as far as I’m concerned, and everyone I speak to, just so angrily humiliating and soul destroying… Politicians that have been elected by us to look after our interests couldn’t give a fig about us, for all that matters and registers with them is their own greed and selfishness… If only they had been ex seafarers, if only they had all gone to a sea training school, then I think if they had, Brexit or remain or whatever way you personally wanted, would have all be done and dusted ages ago. It does make me angry, because the world we lived in back then was so much simpler and so much nicer than the world we have today, and you know something; when they argue how we couldn’t possibly manage without the EU, well back in those days not only were our ports the biggest in the world, London alone had over 66,000 ship movements a year, with ships coming and going from all corners of the globe, handling masses of cargoes of every type, and we didn’t have one single little computer to help us cope with that, no, it was all done with just pen and paper, and it all ran like clockwork, and we did it all on our own! Away that’s more than enough about the state of the nation, and do please forgive me if I’ve said too much… Now back to what we are currently doing to try to spread a little happiness. 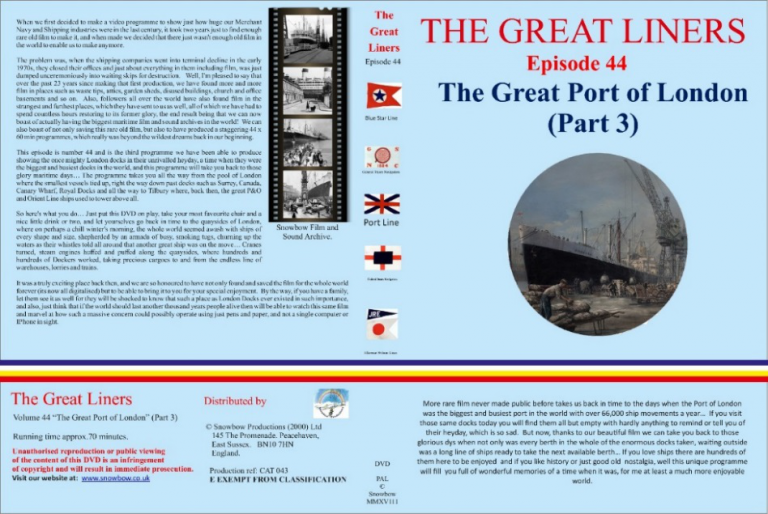 The latest release is episode 44,“The Great Port of London” (Part 3). In all honesty I never imagined when we first started this work 23 years ago that we would make any more than just one little episode that would perhaps show the world just how life was back then and what a great maritime nation we once were. 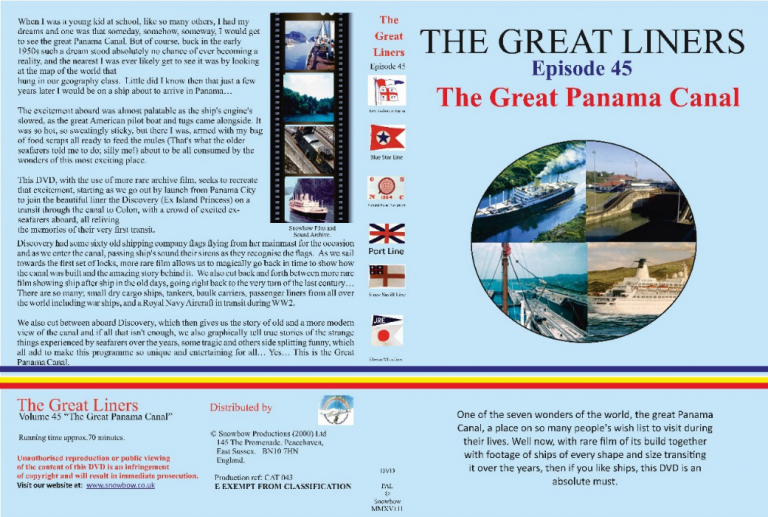 The 44 episodes currently available cover just about every shipping company that existed during the 20th Century, and the ships they operated. Episode 44 is actually the third DVD we have been able to make about the great port of London in its heyday, and the rare film used to make it is so uniquely rare, but when you watch it, well, that is something really, really special. From Tilbury to the Pool of London and all the many docks in between, the programme shows them crammed full of ships of every shape and size, so if you have memories of those days or love ships, then this has to be one of the finest programmes ever made to capture those maritime, halcyon days; days that now thanks to these unique programmes will never be forgotten and serve as a lasting reminder of a time when the UK really was the greatest shipping nation in the world. Production has started on the next two episodes, but with only Ulla and myself to do all the work, and with all the desperate applications we’ve made for funding to the various bodies rejected, it is a lot of work and although we have already found and restored the films needed to make the new episodes, it will still take many months of hard work before they’re completed… Those new episodes are 45, The Great Panama Canal, showing scenes from the initial construction of the Canal, and of lots of ships transiting it through the ages, going right back to the very earliest including White Star’s “Britannic” and Cunard’s 1906 “Mauretania,” right through to modern day. 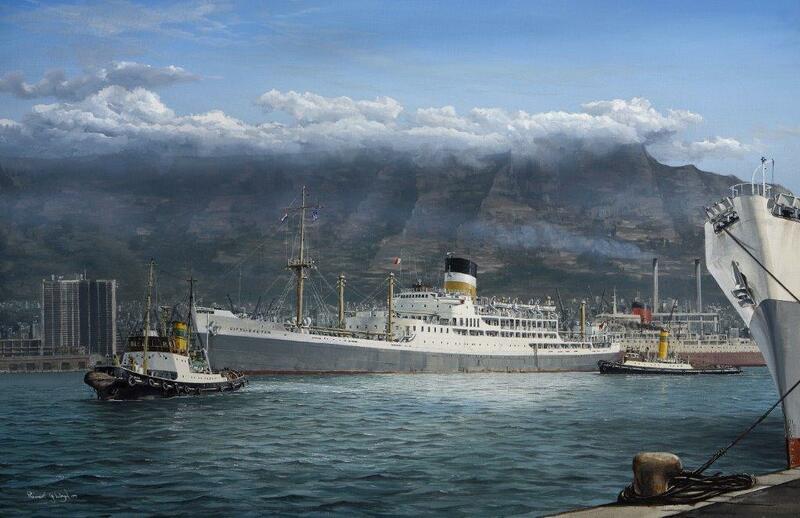 We also intend to include rare film of the Australian port of Freemantle taken in the 1960s, showing us more passenger liner footage of ships arriving and sailing from a port where so many thousands of passengers first saw and set foot on Australian soil, where to start a whole new life… Fantastic to watch. Episode 46 is still in very early planning, but we want to show you more rare film of conventional cargo ships, and take you on them as they sail to ports all over the world. 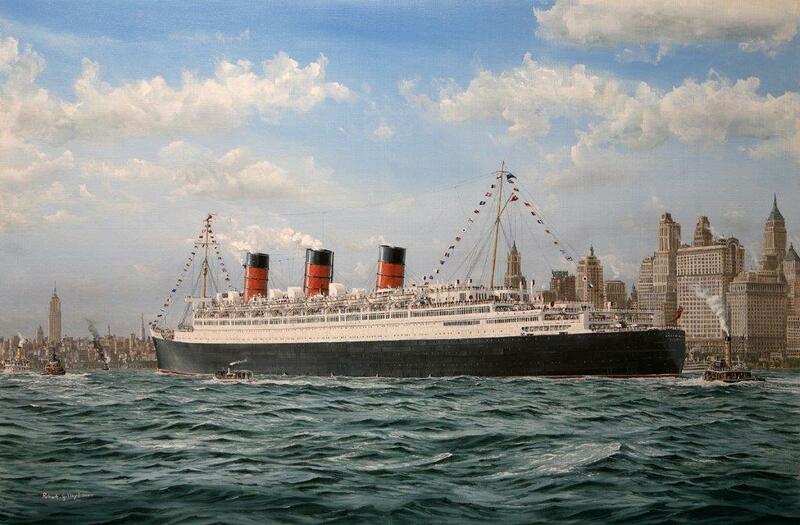 There will be ships from all the well-known companies such as Port Line, Ben Line and Blue Funnel etc., but we want to include the ships operated be lesser known companies such as the Belfast Steamship Co, Bowater Steamship Co, Reardon Smith, City Line and many others, so this should be another great treat. At long, long, last, we have actually managed to build and open our brand new website, which might not mean a lot to some of you, but in this world of today, which is all but totally reliant on the internet, it is essential that we now shed our old clothes and get into fashion. Now I (Des) am not the best person in the world to create a new website, in fact I really am the least practical person in the world and I remember once, when crossing the Atlantic in the old “Rangitata”, I tried to rig a radio aerial from my cabin to the top of the mast, which we did back then, an exercise that meant having to climb the mainmast (no safety gear of course) but no one really minded too much, and only a few of the ship’s crew had a radio anyway, so everyone wanted them to be working and picking up radio stations that they could all huddle around during the evening and hopefully start leaping about to the sounds of old Elvis or if preferred, Victor Sylvester! Anyway, I managed to get the aerial up and fastened to the mast then I returned to my cabin to try it out, but as I went to turn it on I remembered a warning one of the ship’s electricians gave me. “Make sure you earth it!” Well, I didn’t really understand much about electrical things, so remembering the warning, I climbed up to one of the pipes that ran through the accommodation and calmly scraped some of its paint off. Then satisfied I’d scraped off sufficient paint, I then fastened the aerial to the bare metal. in order to earth it, but when I turned the radio on, instead of Elvis leaping about it was me, for there was great big bright flash and a huge bang, as my brand new, posh radio became a smouldering wreck, but that wasn’t quite the end of the matter, for somehow I also managed to plunge most of the ship into darkness! It took but seconds for the cabin door to burst open and there was a very red faced and angry Chief and 2nd Electricians. “I fxxxing knew it would be you.” The chief screamed… Can’t really remember what happened after that, but some weeks later, with help from the electricians I did manage to get it working, but by then we were way out into the Pacific ocean and instead of hearing Elvis rock ‘n’ rolling, all I managed to pick up was ‘The Voice of the Andes”, which as many of you will know, was a religious station that pumped out an endless diet of bible teachings, but at least it was working… Perhaps that’s why later in life I considered becoming a Monk! Anyway, this new website is a must for you to go to, because using simple state-of-the-art modernisation, we can now offer you so much more, for example, you can go on there, put in the name of the ships, ports or places you are interested in and the computer will not only tell you which DVDs they’re on, but also if there’s a Robert Lloyd print of ship or scene as well and it and also, where it is on our film and sound archive… even describing the scenes they appear in i.e. 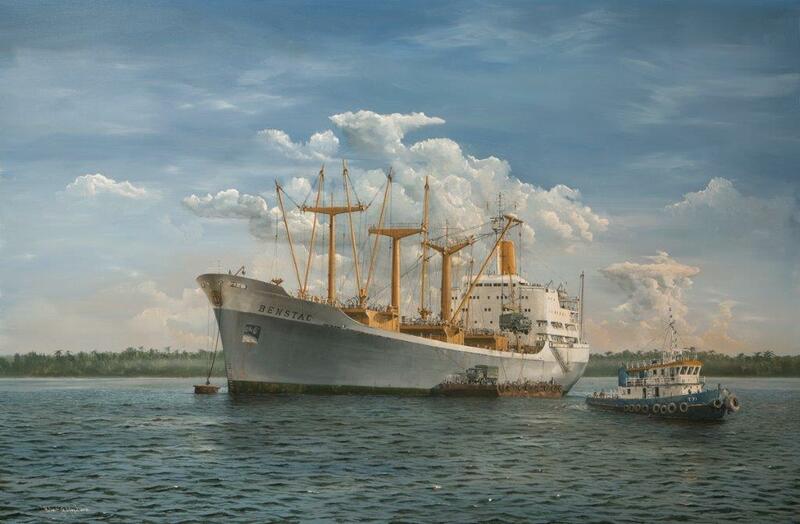 Chusan laving Tilbury for Australia, or Southern Cross transiting the Panama Canal or the Egyptian Prince transiting the Manchester Ship Canal… Amazing. 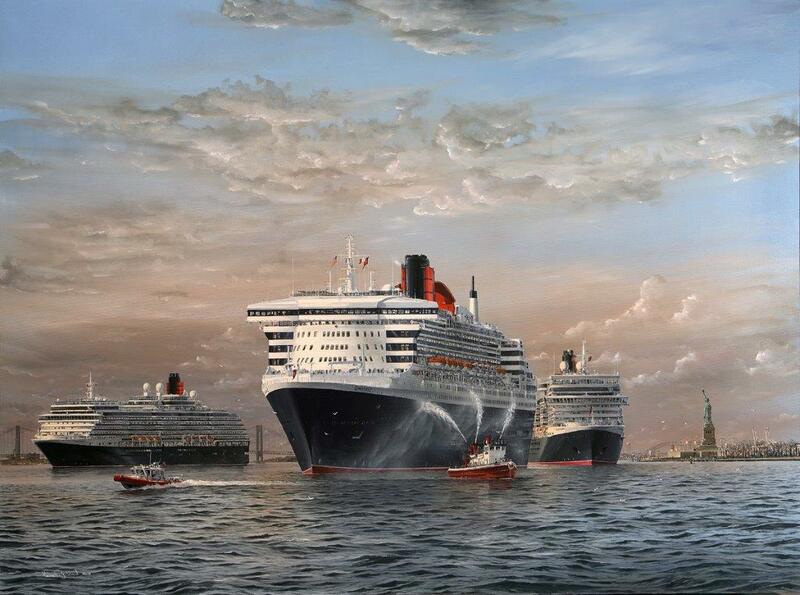 Speaking of prints, we are now able to offer you exclusively the whole range of specially produced prints of work by Robert G. Lloyd, an artist considered by leading experts as the world’s best maritime artists. We have exclusively for you, the whole range of his prints, which in themselves are works of art produced to the very highest quality. Also, and I think importantly, instead of offering these prints in limited editions totalling many thousands, which is the normal practice, we have, and again just for you, agreed to produce them in very limited editions of around only 100 copies, which as well as being so stunningly beautiful to look at in your own home, they will also become very collectible. So, as well as being hung in top places like Buckingham Palace and museums, now you too can have your very own work of art… Here’s a few examples. 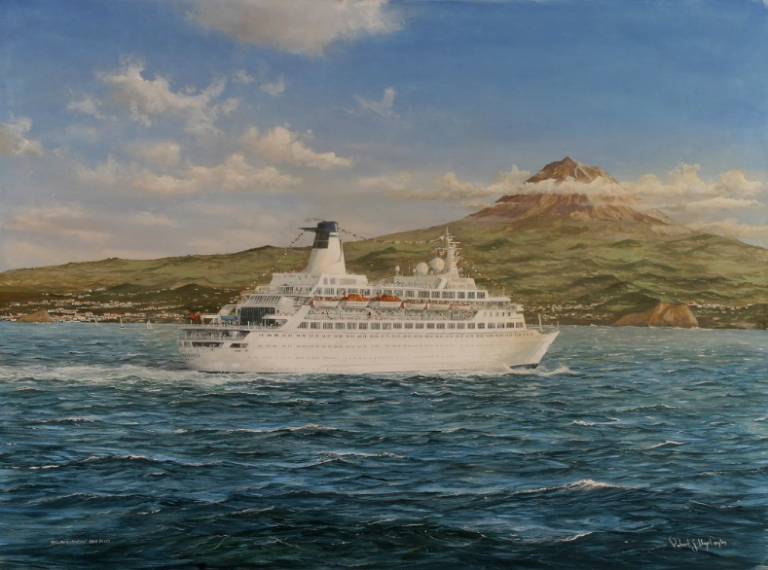 We couldn’t leave you without writing about our special Maritime Memory Cruises, cruises which so many thousands of you have enjoyed over the years, cruises that have taken us all over the world. But they’re not your regular cruises, no, for what we do it turn back the hands of time to the way things were and ships were operated during the Golden Age of Shipping. 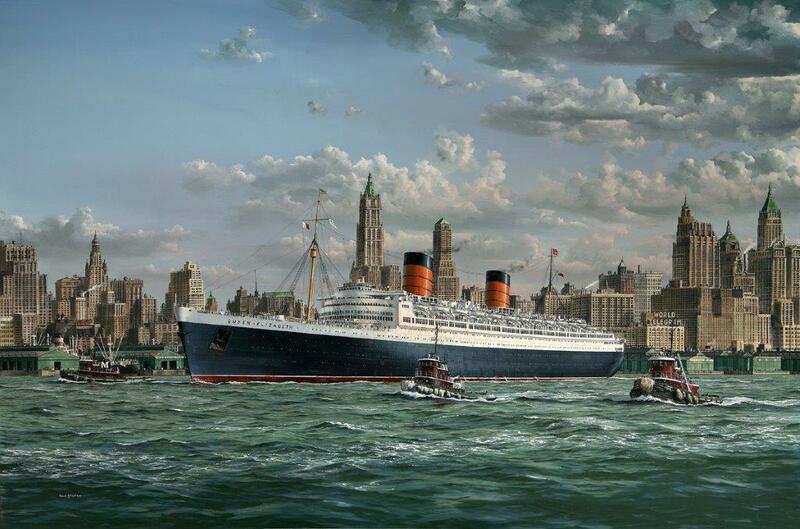 Instead of giant floating blocks of flats we use ships much the same size as they were back in those halcyon days, and we also go to great lengths to help make the atmosphere aboard as close to as it was in the days when people really mattered, and shipping companies went out of the way to make everyone and everything so special. 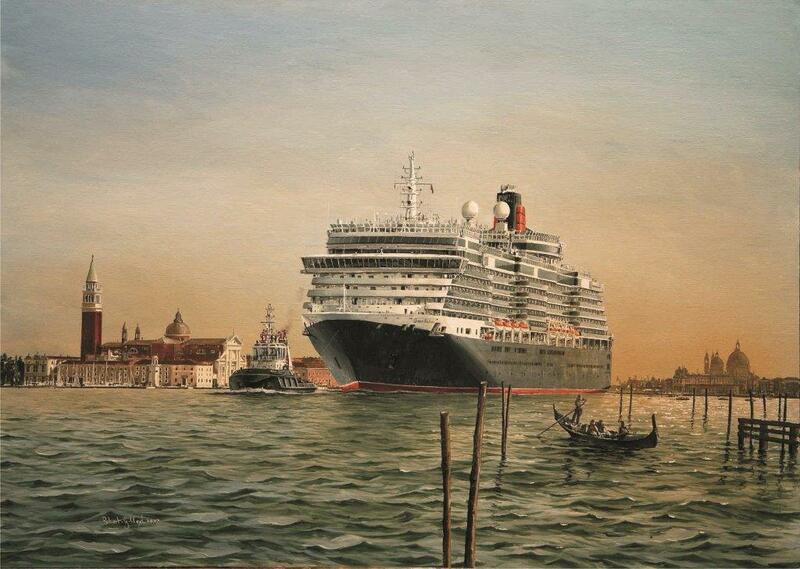 But perhaps what makes these special cruises so full of fun and laughter and happiness, is that your fellow passengers are so much like yourselves, which in turn give us the best crowd of seagoing friends in the world. We go to great lengths to try to find the right ships for us, not too big, but not too small, and ships that look more like real ships, as ships used to be years ago, and I’m sure so many of you will have some very fond memories of all the ships we have used, and to mind comes the happy days we spent aboard the MV Discovery , especially our voyages to South America, the Amazon and when we retraced the routes of the WW2 Arctic Convoys, taking with us many WW2 convoy veterans, and that totally amazing reception the Russians gave us when we eventually arrived in Murmansk… Truly an unforgettable moment to treasure for ever. By the way, it was that special voyage that finally persuaded the British Government to awards those brave Arctic Convoy veterans the special Arctic Convoy Medal, so not only did we all have an amazing time, we also did so much good as well. So many of you have asked us for information on the next cruises we will do, but at this moment we are currently looking for the right ship and the right people to work with, people who share our belief that although a great itinerary is so important, equally important is to be able to have a great time aboard the ship itself, and of course, that. 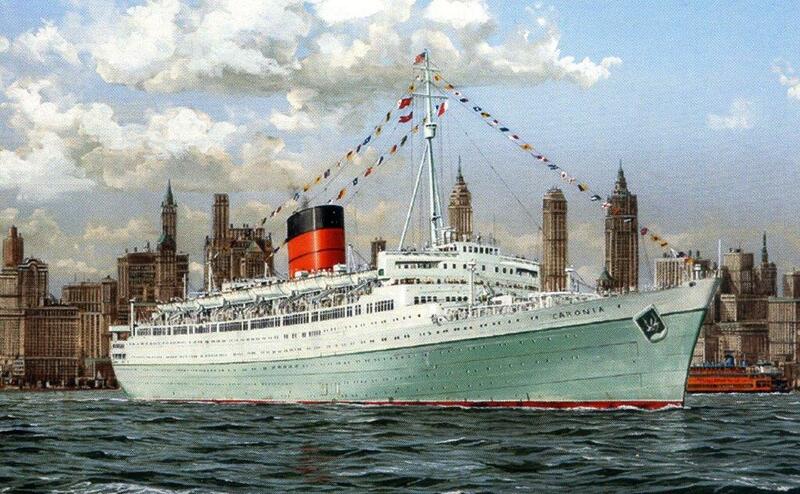 with our special Maritime Memory Dinners, lectures, film shows and parties make those Maritime Memory Cruises so special for us all. So we promise to let you know just as soon as we have found those right people and ship, so we can all meet up again and just enjoy being on a real ship at sea. We wish you all the good wishes we can fine for 2019, and hope that the world becomes a better, nicer place again, much as it was back in those golden days we once knew and so enjoyed. In the meantime, if you would like to help us in our work, well funding is so necessary, so if you can tell others about us and interest them in trying our DVDs and cruises, then that would really help as it is our only means of funding to enable us to continue this work. You can even forward this Newsletter on to other people if you like. 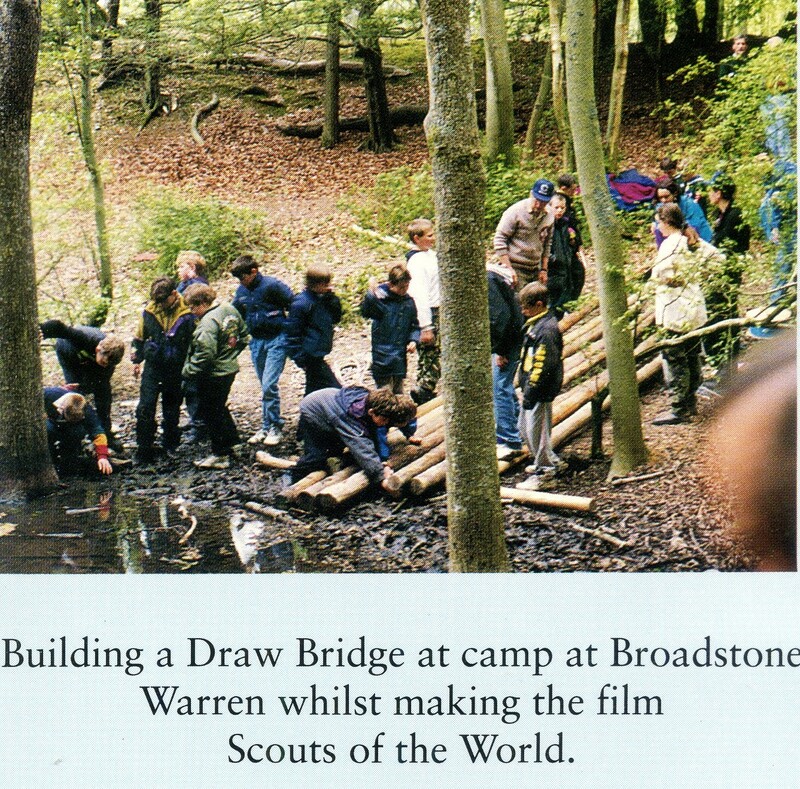 Oh, two more sort of important things… Together with Village Roadshow and Warner Bros, we made a feature documentary telling the history of Scouting and to make this programme we travelled all over the world to film relevant scenes, starting from the location of founder Baden Powell’s very first scout camp on Brownsea Island to scouts all over the world; Australia, the Far East, India, Africa. 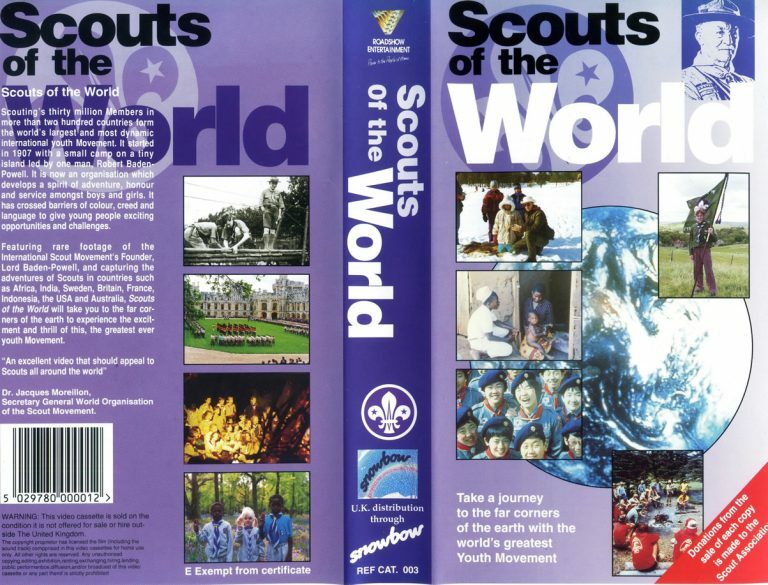 Europe including Scandinavia and the most northerly Scout camp in the world. To North America, South America and then back to the UK including Windsor Castle. 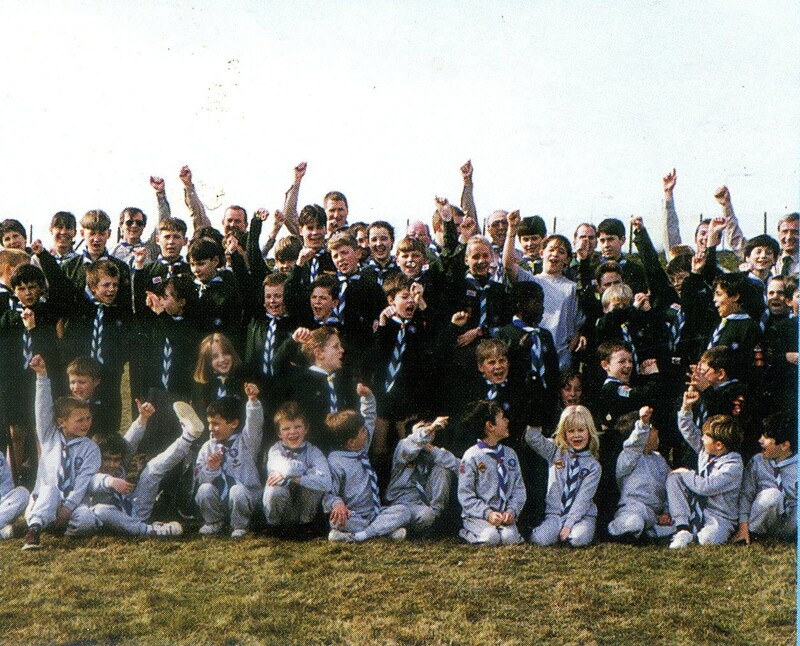 We interview Scouts of all ages and from all background, even including Royalty, and we even managed to interview the very last surviving Scout from that very first camp on Brownsea Island. 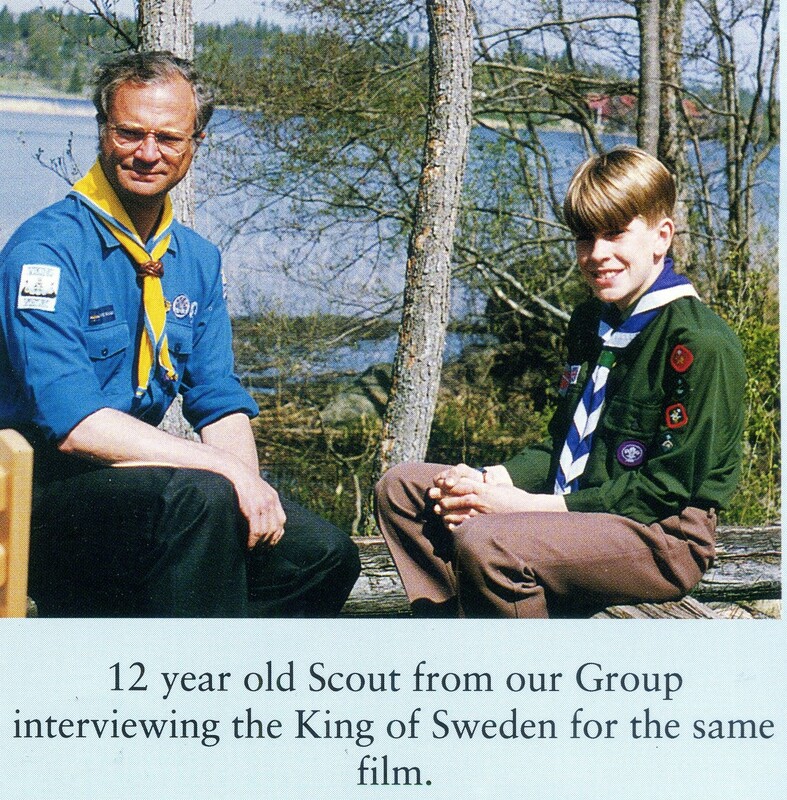 This 70 min film is something that everyone who is involved or has ever been involved with Scouting should watch. To make it at all was a wonder, for to get the support and funding was indeed a struggle and I think it most unlikely that there will ever be another film to tell this amazing story. 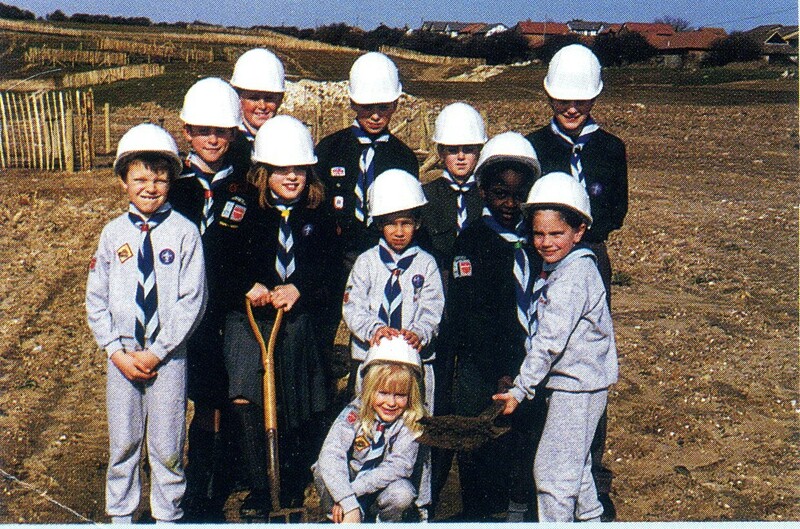 We hope to be able to put the film on our website for sale in the very near future, so you can download or purchase on DVD, but really, if you have happy memories of scouting or are scouting today, then share our pride that we had in making it, for it seeks to tell the world what a wonderful job you have all done. And finally, finally, because I am so sick and tired of all the doom and gloom that seems to have almost taken over this world of ours, I (Des) decided that I would at least try to fight back against all those moaners, snowflakes and losers that have taken up arms, and attack then with the thing they hate more than anything else in the world… the sounds of laughter and people enjoying themselves. 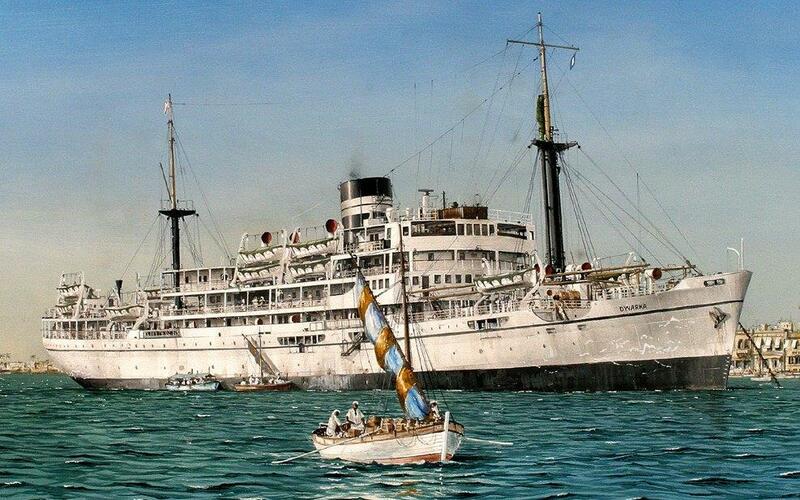 So my first attack is by way of recording an album titled “A Little Ray of Happiness” which is all based on the stage performances I have given aboard ship on those special Maritime Memory cruises. The album is very much the same as those on board shows, and although partly recorded in a studio, I have still ad-libbed the whole thing from start to finish… I even make up songs as we go along (another thing I do live on stage) but although I shouldn’t say this about my own work, there’s not one single song on the whole track that you won’t enjoy, plus there is so, so much fun and laughter. The songs range from good old rock ’n’ roll to country rock, ballads, folk and lots and lots of comedy songs and stand up jokes and impersonations that I know from live reactions, will have you all laughing and enjoying yourselves. And why is there so much comedy on this album? Well as I said, I got so tired of all the doom and gloom in the world today and sadly, most modern day comedy is so far from being funny. In fact, things are so bad and people so fed up with it all that they’re actually switching off their telly, especially when the main news comes on, so that’s why I’m making this recording, and do please get a copy so you can play to family and friends and show them just how happy we and the world once was. 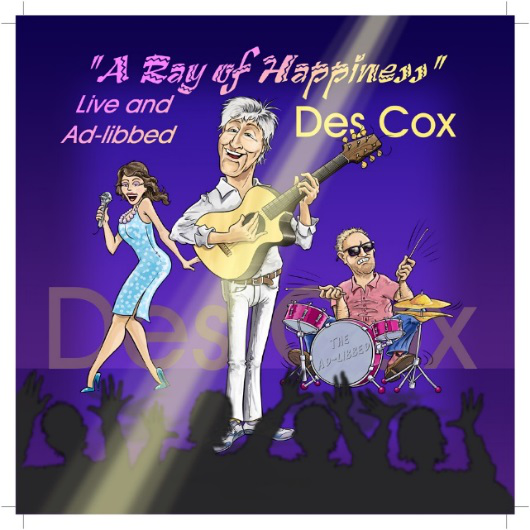 Yes, I promise you, it might be all adlibbed, but the few people who have heard extracts have said its one of the funniest things they have ever heard, and the songs just great, so hopefully it will bring so much cheer and happiness, and you will play it over and over again. It is almost finished and should be available on our website in a few weeks’ time, either to download or on CD… you will love it and if you don’t, then I’ll… I’ll… I’ll come round and do any maintenance jobs around your house… Oh, perhaps after telling you earlier in this Newsletter how I fused all the lighting aboard the old “Rangitata”, perhaps you’d rather I just stayed at home and did my own maintenance! People who have heard parts have asked for different tracks to be released as singles as well, and at least three tracks will have special cartoon animated promo films made, which hopefully will both help their appeal and the enjoyment people get from watching them… Another very important thing I learnt from both sea school and my days at sea was that if in a disagreement with someone, it is so important to be able to see and understand their point of view, and at the end of the day, it would be very difficult to find anything quite as powerful as just plain simple laughter to make all sides happy again. Thanking you all for your help and support, and as I said, if you could spread the word about what we do, especially as we do it all without profit, then please do. 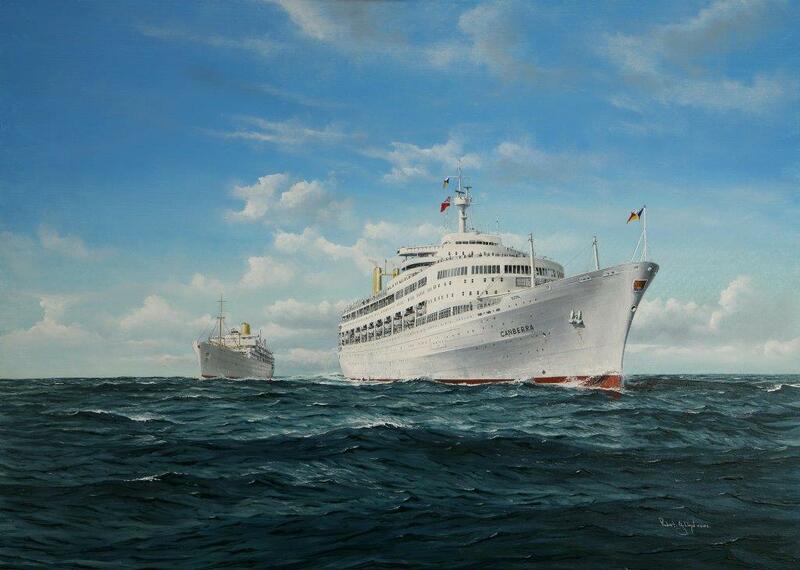 Sign up to our mailing list to get information on new products, upcoming cruises, and special offers.